Drop earrings are simple and easy to make. However, you can use a lot of different materials and beads like semi precious stones, crystal, silver wires, chandeliers and charms etc. Be creative in designing your own drop earrings! We will now try to make a drop earrings using silver wires, silver beads, head pins and Swarovski crystal. 1. 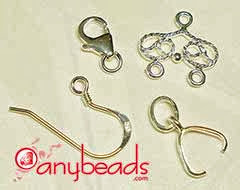 A pair of sterling silver ear wires (ear hooks). 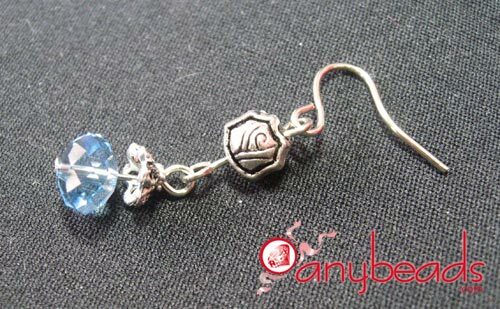 You can also use metal or silver plated ear wires. Other type of ear wires like ear posts with ear nuts is also ok.
2. 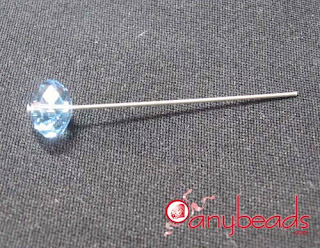 A pair of headpins or eye pins. 3. 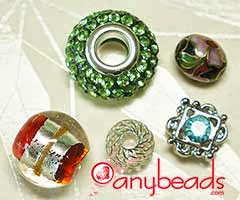 A few beads and bead caps of your own choice. 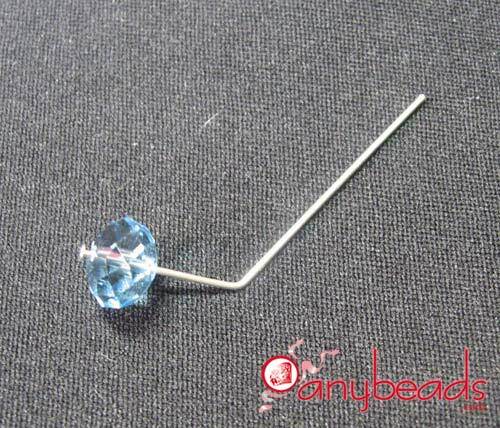 Let's us make an ear hooks with Swarovski 5040 Briolette 8mm crystal, silver bead caps and silver beads , silver head pins and some short silver wire. 1. 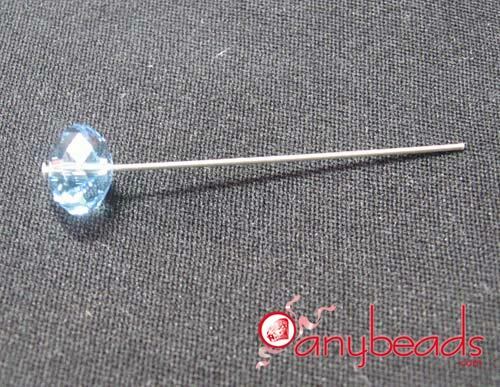 Put the 5040 8mm Aquamarine bead onto the head pin with the flat head facing bottom. 2. 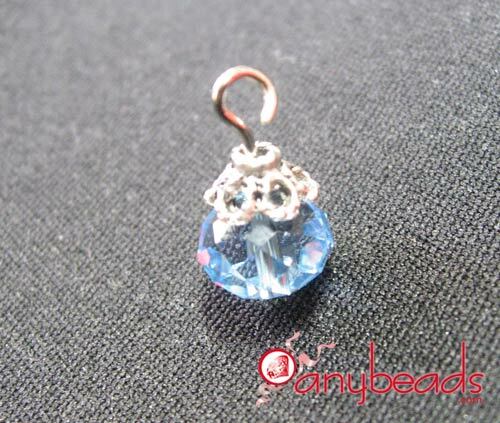 Put a bead cap on top of the aquamarine bead. 3. 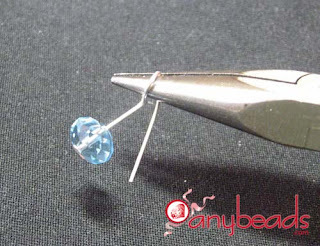 Use the round nose pliers to bend the head pin to 90 degree. 4. Bend the end of the head pin to complete the loop, cut the wire if it is too long. 5. 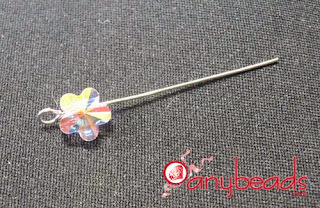 Take a short silver wire, bend one end of the wire to 90 degree then bend it further to complete a loop. 7. Cut the end of wire if it is too long, leave about 7-10mm for making a loop. 9. 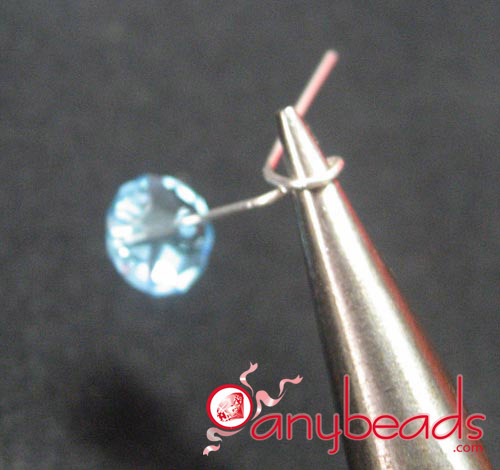 Slip the crystal & bead cap part onto the loop of silver bead part, then slip the other loop onto your ear hook. 10. Close all the loops shut so that the ear wires will not fall apart and that's it. Put them on to try your new creation! 1. 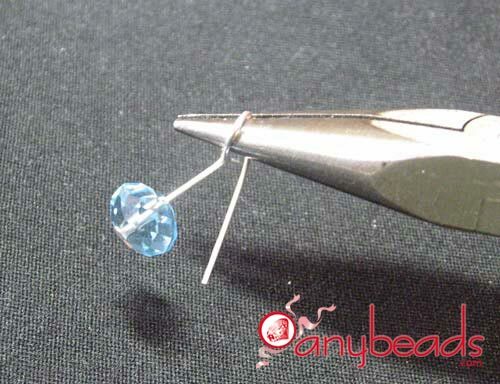 Using several heavy beads such as glass beads or large beads might make the earrings too heavy to wear. 2. 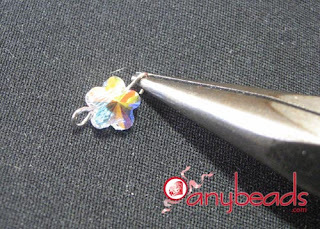 Experiment with different colors and styles of beads, use spacer beads to frame and break up the pattern of the beads to achieve different looks. Do you have your own creation to share?